Yesterday for fun I implemented a new blurring method. Blurring is a very common effect that opens quite a lot of possibilities. 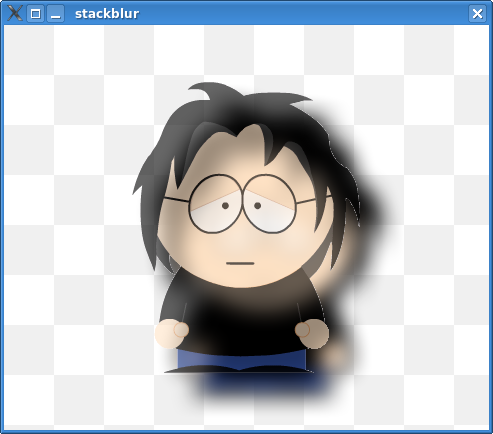 For example one can use it for shadows and it works very nicely when one is trying to deemphasise something visually. 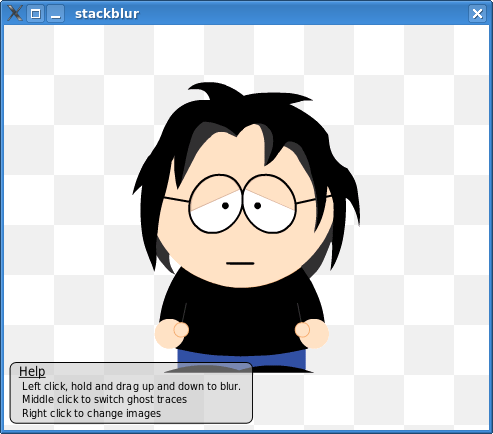 The algorithms that we had for it in KDE were not impressive at all. 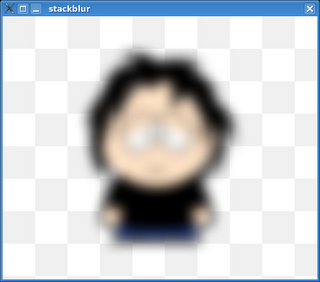 I went ahead and implemented Mario Klingemann's "Stack Blur" algorithm. I changed his algorithm a bit, mainly added support for handling alpha channel correctly and I was very impressed. It gives really nice results and is blindingly fast. On a 385px by 385px image i was getting around 200fps with it. This is all software mind you and it should prove that software algorithms are good enough to still do a lot of visually appealing 2D things. It all works incredibly fast so you should be happy with the results. Gunnar blogged about Qt Jambi and if you have java running I suggest you give it a spin. When I showed some of the demo apps to people on KDE Four Core meeting they were very impressed (rightfully so I might add ;) ). I love the fact that with Qt Jambi I don't have to work with listeners. I just could never get myself to like or even tolerate the syntax for using listeners in Swing. Being able to automatically connect slots by name with QtJavaUtils.connectSlotsByName is just neat. Chessboard patterns are used to test the alpha channel. On a white background, differences in alpha channel cannot be seen. this is amasing has an artist the feather efect is ine i wish for all the time, but in vector drwing it's a feature we dont have, and its one of the most usable feature you can implement, xara has it and you can see the degrea of prefection one can achive with xara. Now hall we nead is an app to take advantage of the great grafical possaibities QT has to ofer. Looks great! Works with Qt4.1 on Windows as well, just had to remove the translucency on the textbox. But what kind of computer do you have to get 200FPS? I compiled it with benchmarking enabled (but release mode) and got only 39FPS on a Athlon 64 3200+. Cool, this blurring algorithm is really fast. And highly portable too, it was a matter of 10 mins to adapt this for Scribus and porting it to Qt 3.